When I mention King’s Canyon National Park, quite a few people still ask where it is. This is very different than when talking about Yosemite or Sequoia National Parks because everyone knows about these two places. 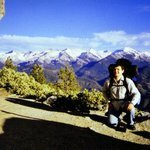 Even though King’s Canyon is a lot less popular, it is a great place to visit and just like Sequoia, it is a backpacker and hiker’s paradise. King’s Canyon National Park is the best California national park to visit during a national holiday simply because people don’t know much about it. Whereas in Sequoia and Yosemite you will find lots and lots of people on holidays, in King’s Canyon you will have plenty of room to breathe even on a July 4th week. Beware of mosquitoes in June and July. They are worse than the bears. They will hunt you down and not allow you to rest until you get inside your tent. Bring lots of bug repellent…the expensive stuff, cause only the real stuff really works :) No kidding ! Just like getting to Yosemite National Park, you can easily find directions to King’s Canyon National Park. King’s Canyon is most of the time associated with Sequoia National Park because they’re right next to each other. 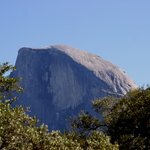 I love driving to King’s Canyon and Yosemite…once you get in the mountain areas the drive is just spectacular. Try not to hurry too much, just enjoy the drive and the vistas…and stop once in a while. Map of King’s Canyon National Park and surrounding area. You must read the official King’s Canyon National Park website. It will give you up to date information about road and trail status. Highway 180 is the only access road to the park and it actually ends at Road’s End in the park. 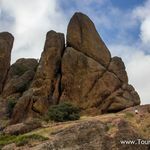 From the north end of Sequoia National Park it will take you about one hour of driving on a very windy but beautiful road. 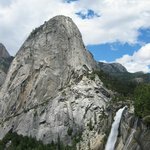 Is it worth visiting King’s Canyon National Park?